Wye for art thou Romeo. No not an Italian tragedy about star-cross’d lovers but a very English love affair. Actually a love affair that crosses all boundaries, well at least into Wales anyways. Yes, I’ve found a new mistress and her name ain’t Juliet! The first time I stood on the banks of the Wye, I knew this was a special place. At times like this you know you have arrived somewhere that will change your angling life. That may sound a bit dramatic, but the Wye still holds so much mystery within its unencumbered miles of bubbling, gravelly magnificence, that anything seems possible. It’s a river that offers such diversity. From urban stretches to out the back of beyond. From deep rocky stretches to shallow gravel and weedy ones and so much more bedsides, that I couldn’t possibly do it justice. It’s a river that seems to have everything. The most amazing thing is how little of it seems to get fished and how little it can cost to fish there. I learned a long time ago to be very mindful of naming stretches, so it’s not my intention to do so now. I have too much respect for not only the local anglers that fish this river week in week out, but also for the regular visitor who doesn’t want his favorite spot ruined by me. To me the real beauty of this river are the miles and miles or water that is so incredibly diverse and is there waiting to be explored. You really don’t need to be told where to go, what swim, which stretch and what the hot pegs are. Get out there and soak up the scenery and revel in the mystery that surrounds this truly majestic river. Let’s be honest, the harder you work for your results, the more rewarding they become and often the better you become as an angler. Most of my fishing had centered on what many would describe as the ‘middle’ Wye. I include in that fishing up to Hay and down to Lydbrook. At this lower end, the river is deep and powerful. It doesn’t appear to be any wider here but there are some pretty unforgiving snags in these stretches. This area seems dominated by forest, in fact the Forest of Dean to be precise. It’s a beautiful region where wildlife is abundant. These stretches are in more populated areas, often within close proximity of a road, so it doesn’t seem quite so secluded. However that shouldn’t detract from what is still a beautiful and unspoilt location. My fishing at this lower end has been all too infrequent. It holds, I believe, so much promise. The depth and nature of the river here lends me to think that there could be some very big barbel in these stretches. 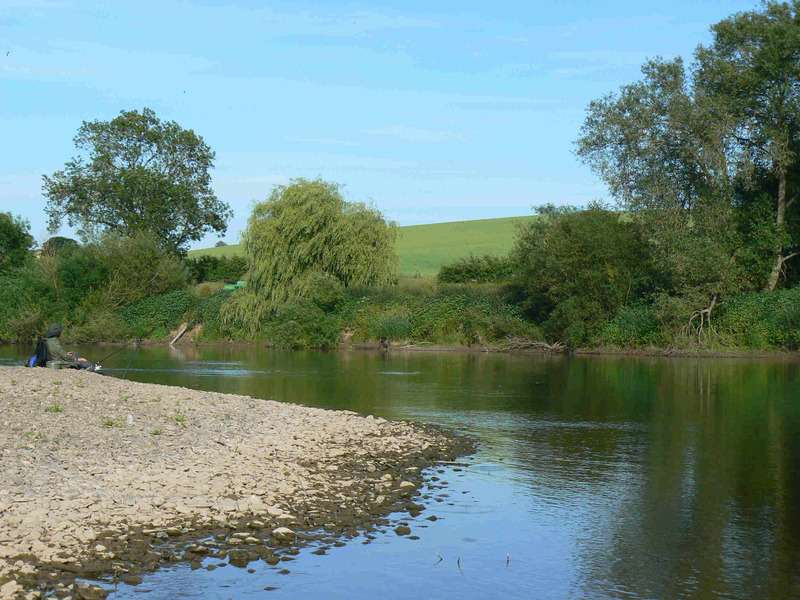 As with much of the Wye there are plenty of croys that create enticing features, plus the usual deep holes, long glides and deep gravel margins that offer exciting prospects to the enthusiastic barbel angler. One thing that certainly shouldn’t be overlooked is the quality of the chub fishing. Not just at the lower sections but throughout the Wye. Both chub and barbel are often in mint condition, absolutely pristine and oh boy, do they fight! As you move upstream you start to encounter the true middle Wye. Still deep in places, but interspersed with shallow gravels, thick weed and even rocks in places. The fishing throughout this region offers mixed access. Some stretches are fairly flat but many involve some steep banks with ledges, so fishing can start to resemble mountain goat country. However with a careful approach, there has been no great difficulty fishing these areas. It’s also now that we start to encounter more beach areas: large areas of gravel that allow you to fish at the waters edge and where wading can really become viable. In some places here you could wade across the river, but often the depth belies the true power of this river. Despite the very shallow water, the unwary angler could easily be washed away by the strong current, so always, always take the utmost care. Never wade unless you are totally confident of your surroundings. Often these stretches offer a mixture of deep runs and shallow water. The deep runs and holes can be full of chub and barbel. But there are no certainties, so as ever exploration is the key to success. What we have found is that feeding correctly is vital. Feeder work has provided us with the best results. In particular groundbait mixed with small pellets. Obviously you don’t want to overfeed these fish, but on occasions I can assure you, that overfeeding is nigh on impossible. The shoals of barbel and chub can be quite staggering. They will take plenty of feed to keep them interested. We don’t like feeding with large pellets, although some are added to the mix. Big feeders are the order of the day. Not so much in terms of weight, more dimensional. Having used Korum and the famous Fisky’s Fantastic Feeders, I can highly recommend both. The nice thing about these middle stretches is the opportunity they give to float fish. Wading can really make a difference with this approach, so a decent pair of chest waders are invaluable. They enable you to get to and fish some glorious runs, where float control becomes easy. I do love long trotting with a pin and this is the place to do it. Nothing fancy needed. Using sensible balanced tackle, reasonable sized barbel are very manageable. A stepped up match rod coupled with 5 or 6 pound line is more than adequate but for those that feel the need for something beefier, then a good barbel float rod is fine. 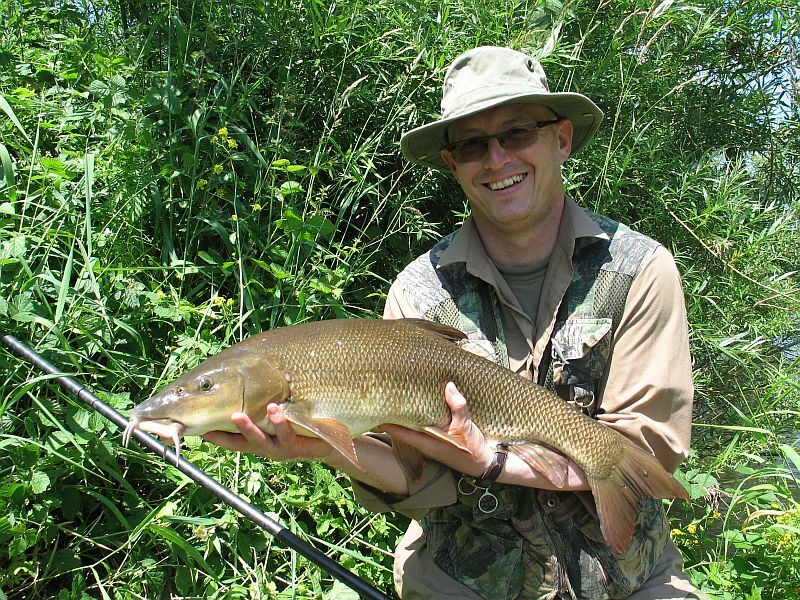 Don’t forget the barbel here are often 3-6 pounds, so you don’t need to go mad. There are bigger fish of course and although doubles are rare there are plenty of barbel in the 7-9lb bracket to keep you occupied and the arm aching! Obviously for feeder work you’ll need something that can handle the constant casting of heavy weights, so I’ll use a minimum of 10lb line but feel far happier, if I’m fishing a big feeder (say 4-6oz) using 15lb mainline. 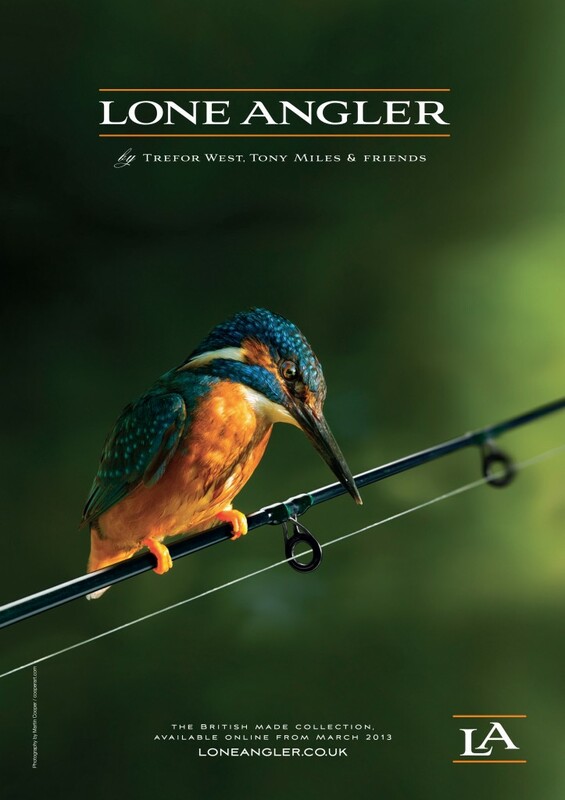 If you are casting any great distance then you may well need to incorporate a shock leader. Often you may be casting every few minutes to build up your swim, or because your catch rate dictates, so your tackle needs to meet the demands of this type of fishing. I can assure you that at times you’ll barely get the rod in the rest before the tip pulls round with another hard fighting barbel on the end, so be warned. 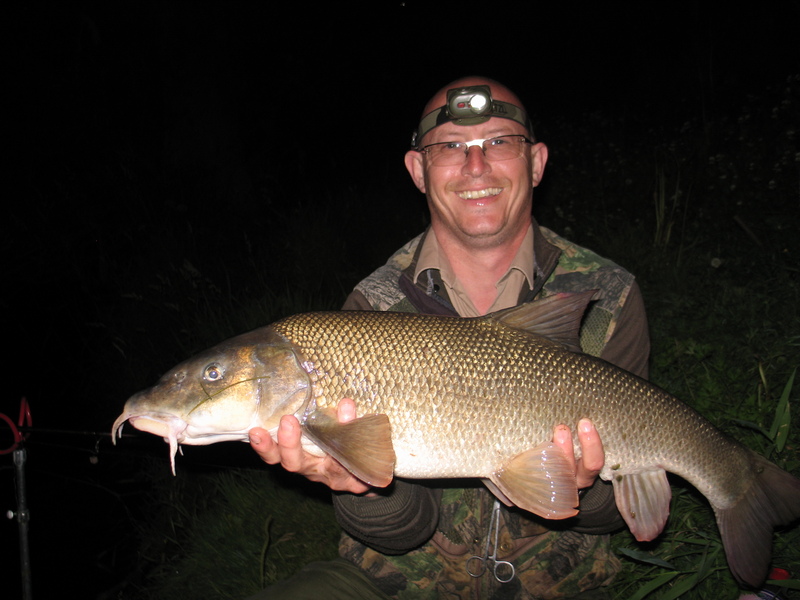 The fishing here can be quite prolific, some areas hold immense shoals of barbel. I don’t want to get too ‘numbery’ with you but for illustration purposes as to the potential of this region, it is not uncommon to catch 20 plus barbel in a day here and in fact I’ve had well over 30. However, that said, I have had plenty of days where only a few have found the net. As ever, you need to do some groundwork to locate them first. The other great thing about this region is the countryside. At this stage of the river it opens up and the scenery is stunning. Wildlife abounds of course. Whether it be flying or running you will be kept busy spotting and identifying everything around you. These stretches are now more secluded; often well away from any busy roads. You really start to feel more rural. As you start to move upstream you seem to get ever more nearer nature. Unspoilt countryside envelopes you and the tranquility and serenity of this region is uplifting. The scenery can quite literally take your breath away. Again in this region the river bed is largely made up of gravel. I would say on average it is shallower here but still with plenty of deep runs and holes. Further upstream bedrock starts to become more predominant and here wading must be done with the right footwear, otherwise slipping becomes a real problem. There is just so much river to explore. As yet I haven’t had the opportunity to discover some of the upper reaches of this river. I have tried a little bit of grayling fishing on one of the tributaries of the Wye and hope to explore these areas much more in the winter. My advice to anyone wishing to visit the Wye would be to check out the Wye and Usk Foundation website. They have access to lots and lots of stretches, many of which are exclusive to them. 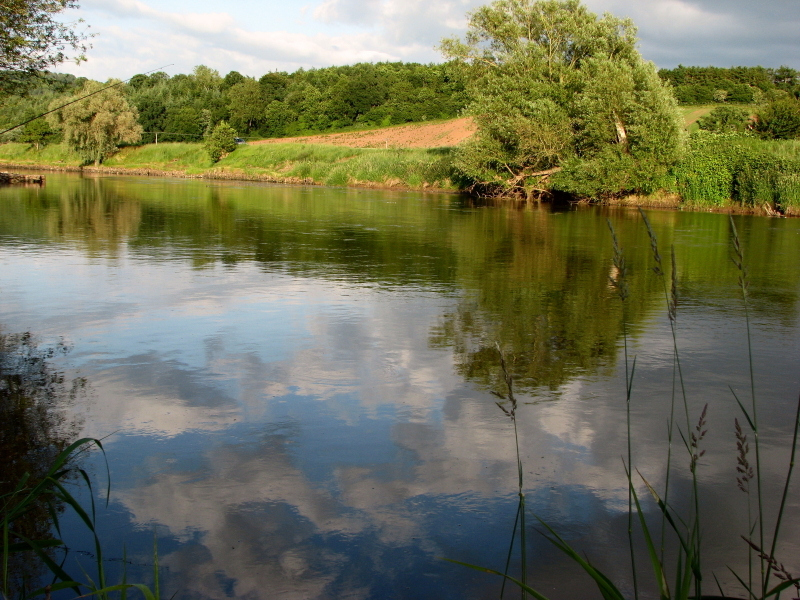 It is not uncommon to find yourself on a 2 or 3 mile stretch of river with just 3 or 4 anglers. To coin a golfing term, it’s like millionaires fishing. There are also numerous clubs that you could join or that offer day tickets on lots of water. The best contact in the area is at Woody’s in Hereford. He is brilliant and will do his utmost to put you on the fish. Sue’s Angling is also very good. In Ross, Wye angling is worth a visit and will be able to sell you day tickets to plenty of good stretches. There are far better anglers than me that fish the Wye and many whose local knowledge would put me to shame. However this is my somewhat brief guide, as a run of the mill barbel nut, to fishing on the Wye. I love fishing the Kennet in Berkshire. It’s one of England’s truly beautiful rivers. 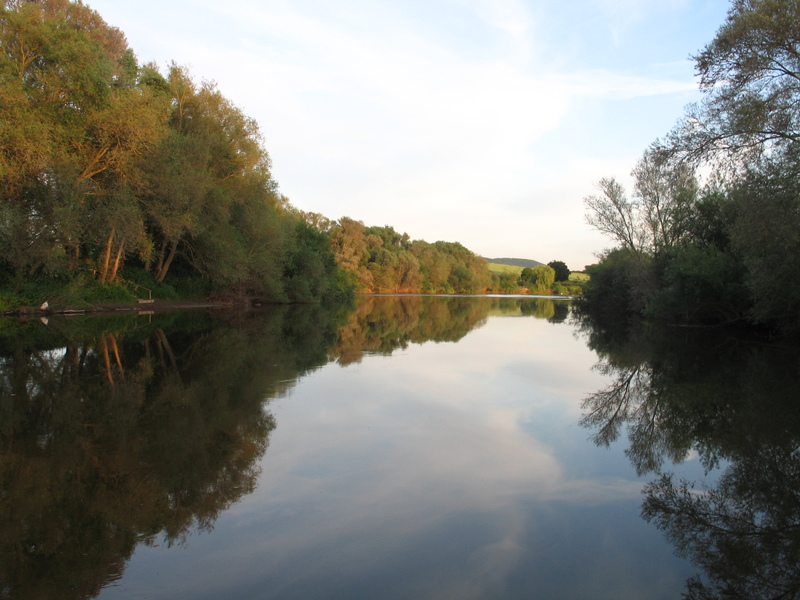 But the Wye has become such a very special place for me that I find myself drawn to it more and more. I think you would enjoy it too, if you haven’t already. Tight lines and be warned; once you have become entwined with this river you may never be the same again. Fantastic summing up of a truly majestic river.I discovered the WUF 2 years ago & have never looked back to the detriment of the river Dove & the Teme. Millionaires fishing it feels like,breathtaking surroundings,stunning hard fighting barbel & even a ghillie full of local knowledge.